what about the sound ? 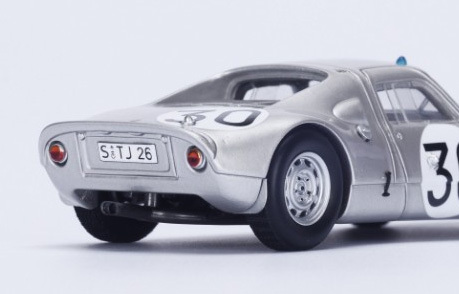 I've been thinking about the sound, there are no other mods as far as I know with the flat eight engine, except maybe the Porsche 910 in Absolute Le Mans, which I do not have, and I don't know what they used for the sound. 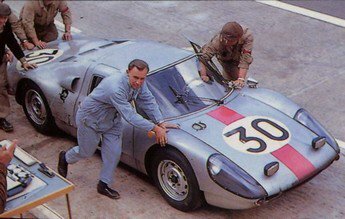 Some 906's had flat eights but the 906 mod in gtl uses the flat 6 sound from a 911. I am open to suggestions. Or help. So good to have you comment (and positively!!) here, Butch, was dreading having to ask you for permission. Thanks! 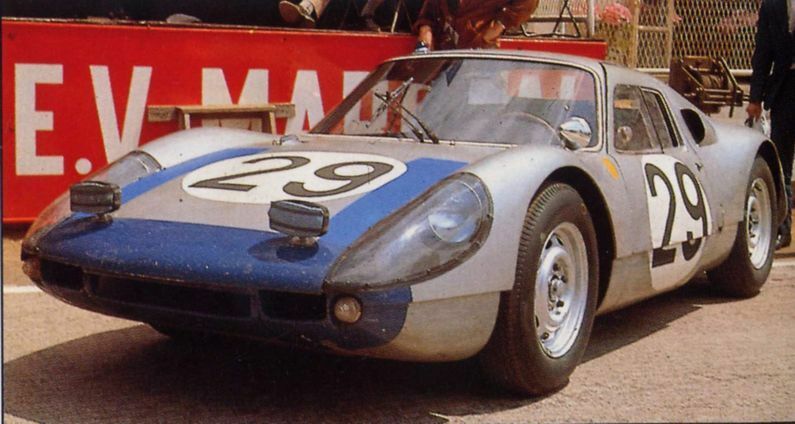 The problem with using the 908 flat eight sound is that it is a larger engine so it sounds different, more explosive. may contain what you are looking for, i think it was on this site. Nice read mate. Thanks for posting. I don't have GTR or Power 'n Glory. So we are wasting our time? Why not upload them, and save everyone a lot of time and effort? I'm not telling you you are wasting your time, you are absolutely free to do what you want, I'm not here to tell others what they should or shouldn't do. It's an objective fact. If the mod and sound already exists, then we have been wasting our time. Me stating that we are wasting my time does not infer in any way that you are telling us what to do. And I would never ask for your current install, that would be irrational; obviously the original archive is intended. Thanks, I am sure the Targa Porsche will be very useful! Does anyone know what the P&G 904/8 uses for sound? Excellent! Thanks so much, kikoya, I will now have to go on the sound file learning curve, but maybe someone else following this thread will know more than I. Either way, it's a huge help, much appreciated! The engines were developed independently; mine just this week. Does someone know something about the Spotlights. I think it would be nice if we can get them for the Mod and i would like to make them if it is o.k. for Butch, when i get a little bit tired of the other Stuff i do. Yes! 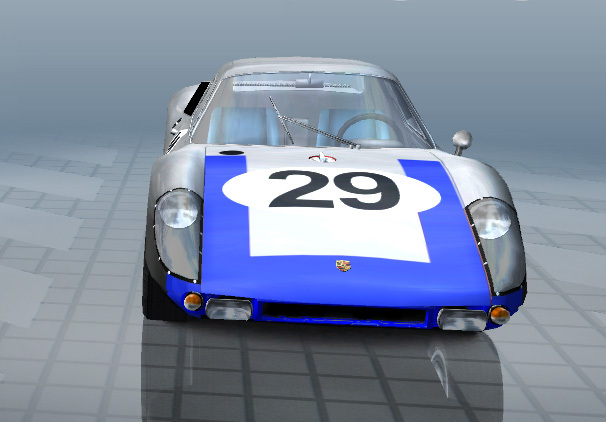 Wonderful idea, here is the 30 car - I see some of the 904's also had the spotlights below the 'bumper' level. 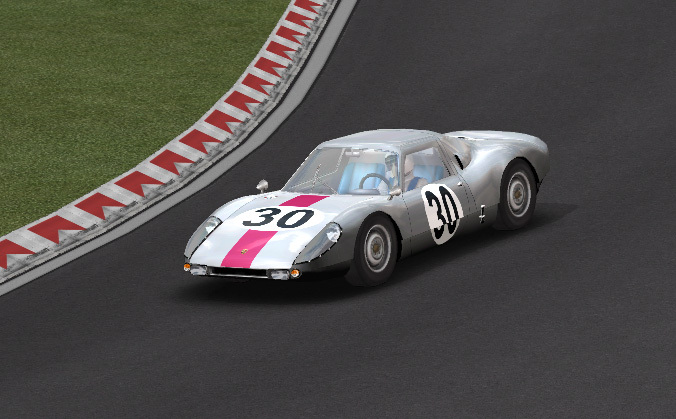 Just BTW philrob I noticed when editing the tex.gtl files that the number plate on no.29 was in the graphics (which I thought was a nice touch) but it cannot be seen in the showroom or on the car on the track? There is just a dark space? I know there is still some cosmetic work to be done, and some issues that need finalising, but the mod (can I call it that? It's really a modification of a mod) is ready for testing/checking. Any volunteers? I am also testing but it needs to be tested independently. 6. I am going to do icons (because I want to learn) but if anyone would like to do biks I'd be happy; I don't use biks. If anyone has any other queries/suggestions, please let us know. the missing numberplate i missed, it must have been removed when i changed the genstring.I did this to move filler cap and remove front bumper spotlights. Ah understood, will sort that out thanks! Okay I replaced the genstring with the original, and the number plate is visible but it looks like it's too tall, the letters should be shorter? 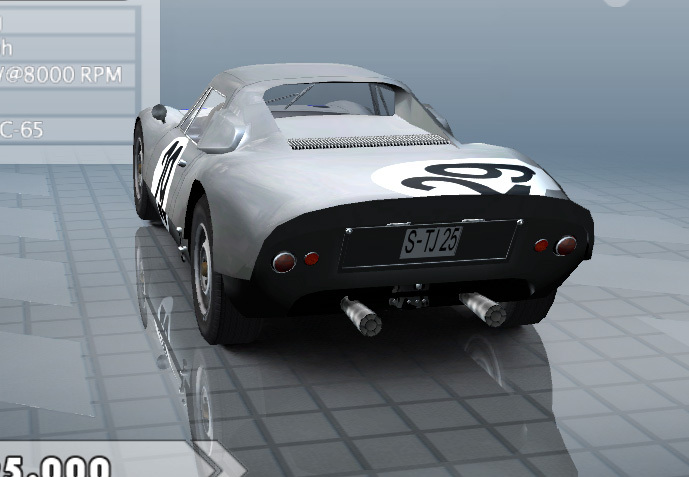 A question on file structure/location: In this instance, we have a special audio file for these two cars, and normally .AUD files go in the mod's main folder, but if I put it in the car folders, i.e. 29_8 and 30_8, will the game look for the .AUD file there or MUST it be in the main mod folder? I have not seen another instance in which different cars in the same mod had different sounds.